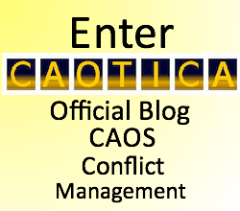 CAOS Conflict Management tries to ensure a clarity regarding the cost of mediation and other conflict management services it provides. Below is a list of prices for the services we offer. Our aim is to try to ensure access to our services for organisations and individuals is not prohibitive while at the same time meeting our own needs to operate as a successful business. Please contact us if you have questions about our services and their prices or would like to use the services we offer. The cost of mediation skills training on our 6-day course is £1450 for organisations, £1250 for charities and individuals, however we sometimes offer 'early booking discounts' and discounts on bookings of 2 or more places on the course. For organisations the cost of Mediation is as follows – please note these are the charges for cases within the London area and so travel / accommodation costs may apply if outside of London. The figures also do not include any room costs. We are sometimes able to offer lower rates to charitable organisations, particularly for smaller organisations of 10 employees or less. Please contact us to discuss your situation if you feel this applies to you. Initial Meetings: These last approximately 1-1½ hours. Any subsequent Joint Meeting will be charged at £475 up to a maximum of 3 Joint Meetings. It is extremely rare for a third Joint Meeting to be requested. Hence the total cost for a case progressing through to a Joint Meeting will be £1115 or £1590 and at most £2065. More than two people involved in a dispute? For each additional participant the cost rises in proportion to the above costs. Please contact us to discuss the costs for group disputes as these can be negotiated. We have experience of effectively providing mediation for groups as large as 15. If you are an individual wanting to have mediation, please contact us to discuss our rates. Our Conflict Coaching costs £150 per hour for organisations and sessions are a minimum of 1½ hours. If you would like to provide access to Conflict Coaching for employees or service users at your organisation, we would be happy to enter into contracts to provide it on a renewable yearly basis. For Group Conflict Coaching the cost will vary according to the venue. Our 5-day Conflict Coaching Training course costs £950 to attend however we sometimes offer early booking discounts and discounts on bookings of 2 or more places. £595 for a half-day - We do not offer training for less than a half day unless it is local to us in London. Mediator/ Conflict Coaching Practitioner Mentoring including via Skype, FaceTime or over the telephone - £90 per hour for practitioners who are not CAOS-trained.